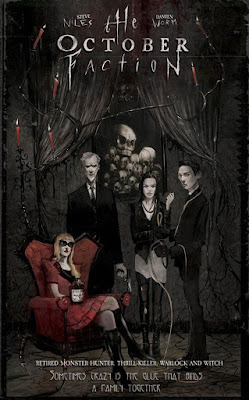 61) The October Faction by Steve Niles and Damien Worm. 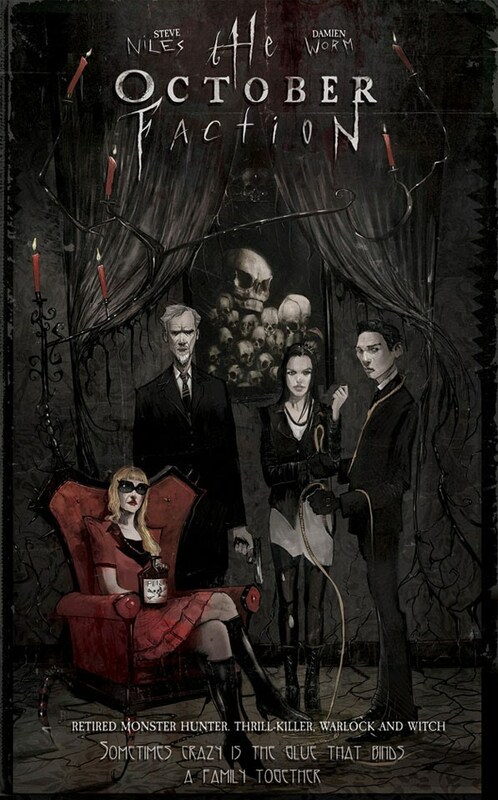 I first fell in love with the cover here, that reminded me of one of the best of families, the Addams', and then I fell in love with the story and the illustrations. Dark, funny, adventurous; what's not to like in this graphic novel? One of my favorites of the past year. 62) Let's Eat Ramen and Other Doujinshi Short Stories by Nagumo. I wasn't certain that I was going to enjoy reading the volume at hand, but in the end I was won over by the story that tells of the adventures of a noodle-loving girl. The whole concept may sound strange to our western minds, but it works out really well on the page, as we follow Saeki on her unique journey. 63) Lighthousekeeping by Jeanette Winterson. One of the special novels that capture my attention and enchant my imagination every now and then, this is the story of Silver, an orphan girl who's taken in by an old lighthouse keeper, that tells her fantastic tales about a past long gone. Lovely, fluid prose and a myth that keeps on giving, from start to finish. 64) Knight Rider Volume 1 by Geoffrey Thorne and Jason Johnson. I grew up watching the Knight Rider, so when I first saw this volume I got excited. However the end product didn't quite satisfy my expectations and I don't know quite what to blame for that. Perhaps I expected something more or maybe by romanticizing in my head something of the past, I have lost the opportunity to enjoy it anew. Verdict: mostly good, but it could have been better. 65) Jupiter's Legacy: Book 1 by Mark Millar and Frank Quitely. There's something rotten in the kingdom of superherodom. That is the idea that carries this graphic novel, as we watch a-kind-of a civil war developing between the children of the superheroes of old. A very good story and great illustrations to match. 66) The Child Prodigy by Irène Némirovsky. Némirovsky definitely knew how to tell a good story, and The Child Prodigy, though short it is, hardly the size of a novella, is a good one indeed. It talks about a boy of humble beginnings who, thanks to his wit and imagination, manages to find himself in a place of luxury and power. Vivid prose. 67) Creature Cops: Special Varmint Unit by Rob Anderson. This story is not, well, it is not exactly my cup of tea. I can see the merit in the concept and how some people may come to love it, but nevertheless I found it somewhat lacking when it came to the creatures themselves. I think the creator could do a much better job in their creation, no matter that most other reviewers see it differently. 68) Star Project Chiro Volume 1 by HyeKyung Baek. Korean comics still feel like a foreign country to me. The volume at hand tells the story of a young girl who's quite popular with boys. The problem is that the only boy she's interested in is not interested in her so she comes up with a plan to win his heart. A story about young love and longing told well, but I found the art a bit on the light side. 69) Full House by Maeve Binchy. I really liked this novella that recounts the tale of a mother and her children in modern day Ireland. Mothers will always be mothers, people say, and by that they mean they would do anything for their children, but shouldn't there a be a limit to their self-sacrifice? Perhaps there should be, and that's exactly why the mother in this story decides to change things. She has to make her children understand that they have to find their own way in life and stop depending on her. Highly recommended. 70) Memory Man by David Baldacci. The good author introduces a new hero in his ever expanding pantheon with this novel. His name is Amos Decker, a man who's been hit hard by luck more than once, firstly losing a career as an athlete, and then a family, and as a result yet another career, this time as a cop. Can he find his way back to life? Perhaps he can, but it will be a hell of a ride until he gets there, if he ever does that is. Since this is a Baldacci, all I'm left to say is, fasten your seat-belts people.